Congress Theme Song - Watch the video of how Meredith Augustin created the RECongress 2016 theme song, " Boundless Mercy / Misericordia Inagotable"
Congress Photos - See if you or someone you know is pictured among our posted photos from Congress 2016. You can find the photos here. Congress Statistics - Find our updated attendance figures for Congress 2016 here. Congress Winners - In celebration of the 60th anniversary of the Los Angeles Religious Education Congress, there was a drawing for 60 people to win a free 2017 Congress registration. Find the list of winners here. 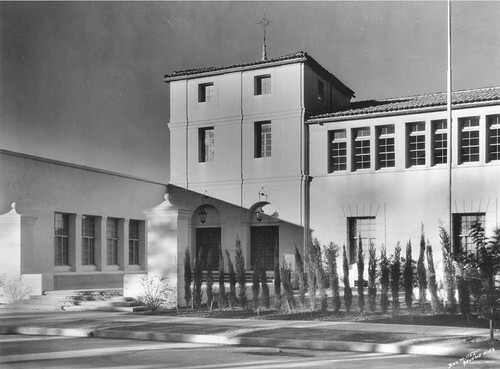 Congress History - The origins of the Religious Education Congress spring from the Confraternity of Christian Doctrine program, popularly known as CCD, a ministry that actually began in Los Angeles in 1922 under Bishop John Cantwell. When is Congress? - The majority of the Religious Education Congresses have been held in the month of February (29 times since 1967, or 58 percent of the time). It was held in March 16 times (32 percent); three times in January (1967, 1985, 1990, or 6 percent) and twice in the month of April (4 percent). The earliest dates that Congress was held was January 13-15, 1967; and March 31-Apr 2, 2006 was the latest the Congress event has been held since 1967. Read about the Congress Milestones. Youth Day (February 25, 2016) – Congress opens on Thursday with a day-long event for high school youth. This is an opportunity for students – not only from the Los Angeles Archdiocese but throughout California and the western states – to come together and share in Liturgy, workshops, entertainment and to experience the energy of a Youth Day Rally. See our Youth Day page. Free Exhibits (open to Registrants only) – One of the perks of Congress is the Exhibit Hall – held Friday through Sunday – showcasing over 200 companies ranging from religious art to music, and from publishing houses to educational institutions, in addition to our own represented Archdiocesan ministries. See the 2016 Exhibitor Listing. New this year, Youth Day 2016 adds an additional workshop period. Each group selects either a morning Arena General Session (Track 1) or afternoon Arena General Session (Track 2) -- so everyone gets to see the Arena speaker -- and then chooses two other workshops. Find more information on our Youth Day page. The registration fee for Youth Day 2016 is $30; Congress registration is $70 ($80 after January 8, 2016) for all three Congress days.